Usher : Confessions CD (2004)Title: Confessions Artist: Usher Genre: R&B/Soul|Male Vocal Duration: 78.20 mins Format: CD / Album Type: CD No. of Discs: 1 disc(s) Studio / Label: Arista UK Release Date: 02 Oct 2004. Akon : Konvicted CD (2007)Title: Konvicted Artist: Akon Genre: Rap/Hip Hop|Rap Duration: 56.40 mins Format: CD / Album Type: CD No. 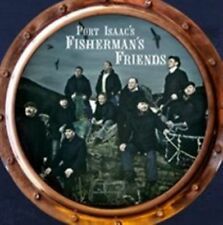 of Discs: 1 disc(s) Studio / Label: Island Records UK Release Date: 05 Feb 2007. Céline Dion : The Colour of My Love CD (2001)Title: The Colour of My Love Artist: Céline Dion Genre: Rock/Pop|Pop Duration: 66.20 mins Format: CD / Album Type: CD No. 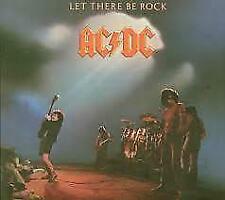 of Discs: 1 disc(s) Studio / Label: Sony Mid-Price UK Release Date: 10 Dec 2001. Dedicated Follower Of Fashion. ULTIMATE COLLECTION. See My Friend. Plastic Man. 2CD ALBUM SET. Well Respected Man. Better Things. Tired Of Waiting For You. Paloma Faith : The Architect CD (2017)Title: The Architect Artist: Paloma Faith Genre: Rock/Pop|Pop Format: CD / Album Type: CD No. of Discs: 1 disc(s) Studio / Label: RCA UK Release Date: 17 Nov 2017. Stone Sour : Audio Secrecy CD (2010)Title: Audio Secrecy Artist: Stone Sour Genre: Rock/Pop|Rock Format: CD / Album with DVD Type: CD No. Disc 1 1 Audio Secrecy 1.43 mins. Disc 1 5 Dying 3.01 mins. Disc 1 6 Let's Be Honest 3.44 mins. Cranberries - Stars - The Best of 1992-2002. Title:Cranberries - Stars - The Best of 1992-2002. Your item will be previously owned but still in great condition. 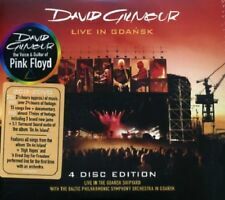 The disc will play perfectly without interruption and the case, inlay notes and sleeve may show limited signs of wear. 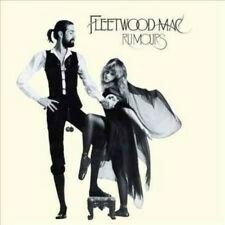 Of Discs: 1 disc(s) Studio / Label: Island Records UK Release Date: 18 Apr 2011. Disc 1 2 Sailor Ain't a Sailor. Disc 1 14 Haul Away, Joe. Disc 1 1 South Australia. Disc 1 15 Cadgwith Anthem. 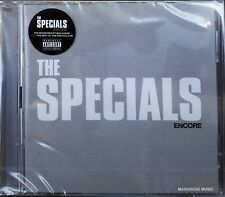 Disc 1 13 The Corncrake. Oasis : Stop the Clocks CD (2006)Title: Stop the Clocks Artist: Oasis Genre: Rock/Pop|Rock Duration: 86.10 mins Format: CD / Album Type: CD No. of Discs: 2 disc(s) Studio / Label: Big Brother UK Release Date: 20 Nov 2006. George Harrison : Brainwashed CD (2002)Title: Brainwashed Artist: George Harrison Genre: Rock/Pop|Rock Duration: 47.40 mins Format: CD / Album Type: CD No. 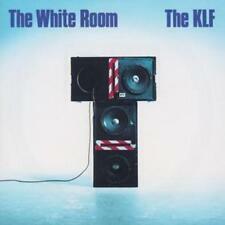 of Discs: 1 disc(s) Studio / Label: Virgin Records UK Release Date: 18 Nov 2002. Title:Stewart, Rod - The Story So Far: The Very Best Of Rod Stewart (2CD). Artist:Stewart, Rod. Your item will be previously owned but still in great condition. The disc will play perfectly without interruption and the case, inlay notes and sleeve may show limited signs of wear. RICK ASTLEY. Let It Be Tonight. Let It Rain. I Like The Sun. Madness : Complete Madness CD (2010)Title: Complete Madness Artist: Madness Genre: Rock/Pop|Ska Duration: 47.15 mins Format: CD / Album Type: CD No. 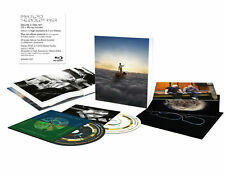 of Discs: 1 disc(s) Studio / Label: Union Square Music UK Release Date: 04 Jan 2010. 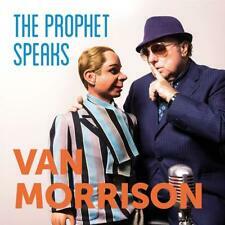 Of Discs: 2 disc(s) Studio / Label: Interscope UK Release Date: 16 Nov 2009. Disc 2 16 Retro Dance Freak 3.23 mins. Disc 2 16 Retro, Dance, Freak 3.23 mins. Disc 1 3 Monster 4.10 mins. Disc 1 5 Dance in the Dark 4.49 mins. Duffy : Rockferry CD (2008)Title: Rockferry Artist: Duffy Genre: Rock/Pop|Pop Duration: 62.20 mins Format: CD / Album Type: CD No. of Discs: 2 disc(s) Studio / Label: Polydor UK Release Date: 24 Nov 2008. Audioslave : Revelations [cd dvd] CD (2006)Title: Revelations [cd dvd] Artist: Audioslave Genre: Rock/Pop|Rock Duration: 48.20 mins Format: CD / Album Type: CD No. of Discs: 2 disc(s) Studio / Label: Columbia UK Release Date: 04 Sep 2006. 2-1 Drowing Shadows. 1-8 Life Support. 1-9 Not In That Way. 1-5 I'm Not The Only One. 2-8 I'm Not The Only One. 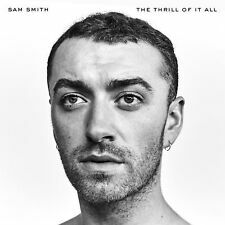 2-6 Latch (Live From Madison Square Garden 2015). 2-4 How Will I Know. 2-3 Nirvana. Pixies : Doolittle CD (1993)Title: Doolittle Artist: Pixies Genre: Rock/Pop|Indie/Alternative Duration: 38.40 mins Format: CD / Album Type: CD No. of Discs: 1 disc(s) Studio / Label: 4AD UK Release Date: 31 Dec 1993. 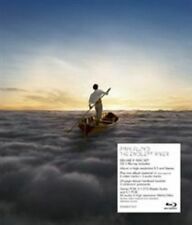 Of Discs: 1 disc(s) Studio / Label: Epic UK Release Date: 28 Jun 2009. Disc 1 13 Gone Too Soon 3.22 mins. Disc 1 12 Keep the Faith 5.57 mins. Disc 1 11 Will You Be There 7.39 mins. Disc 1 9 Who Is It?. Halestorm - The Strange Case Of. [Deluxe]. Title:Halestorm - The Strange Case Of. [Deluxe]. Your item will be previously owned but still in great condition. The disc will play perfectly without interruption and the case, inlay notes and sleeve may show limited signs of wear. Title Nite Flite 3 Label: EMI Records. Zoom > Common Sense - J Hus (Album) [CD]. Fisherman - J Hus feat. Mo Stack & Mist. Mash Up - J Hus feat. Good Luck Chale - J Hus feat. Tiggs Da Author. 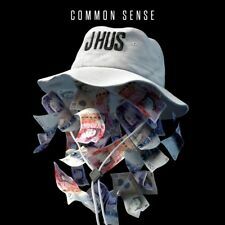 Product Common Sense - J Hus (Album) [CD]. Primary Artist: J Hus. Artist Various Artists Title Chef Aid - the South Park Album Release Date 2002-02-04 Label: EMI Records Number of Discs 1. It's a nod to the sound that defined their early years, an out-and-out feel good pop smash that isn't like anything they produced following the 2006 reunion. Give You My Love. If You Want It. Get Ready For It. 5 out of 5 stars - TAKE THAT THREE III (3) CD - Deluxe Edition * NEW & SEALED - FAST UK DISPATCH ! 10 product ratings10 product ratings - TAKE THAT THREE III (3) CD - Deluxe Edition * NEW & SEALED - FAST UK DISPATCH ! STEELY DAN - THE VERY BEST OF - 2 CDS - NEW!! STEELY DAN- THE VERY BEST OF. NEW - & SEALED! THE CDS ARE NEW AND UNPLAYED. THE CDS, CASE AND INSERTS ARE IN PERFECT CONDITION. THIRD WORLD MAN. CHANGE OF THE GUARD. REELIN' IN THE YEARS. THE BOSTON RAG. 5 out of 5 stars - STEELY DAN - THE VERY BEST OF - 2 CDS - NEW!! 15 product ratings15 product ratings - STEELY DAN - THE VERY BEST OF - 2 CDS - NEW! !